WASHINGTON, D.C. —A new report on clean energy innovation headed by two of the world’s leading energy experts assesses the state of the clean energy innovation ecosystem in the U.S. and identifies clean energy technologies with the highest breakthrough potential. The report—led by former U.S. Secretary of Energy and Energy Futures Initiative founder, Ernest J. Moniz and IHS Markit vice chairman Daniel Yergin—evaluates ways to maintain U.S. leadership in clean energy innovation by better aligning the policies, players and programs that will drive technologies that can keep the nation globally competitive. 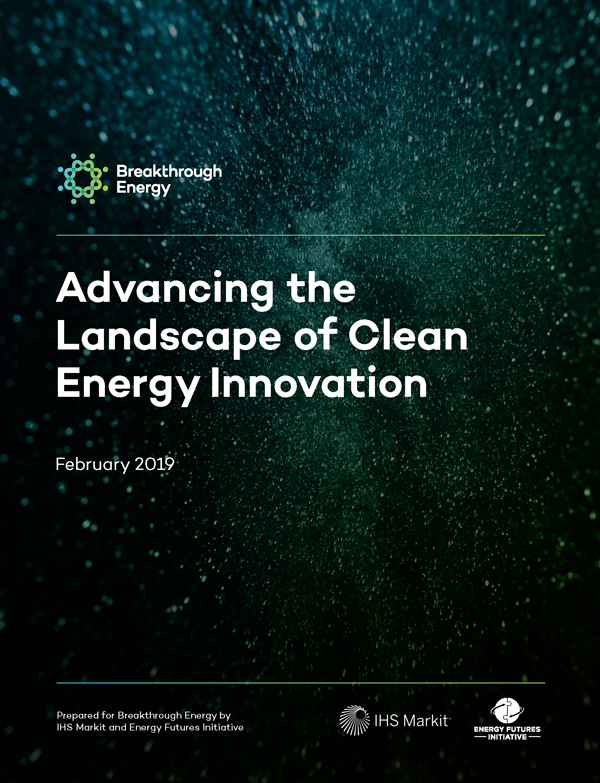 The report, entitled Advancing the Landscape of Clean Energy Innovation was commissioned by Breakthrough Energy.